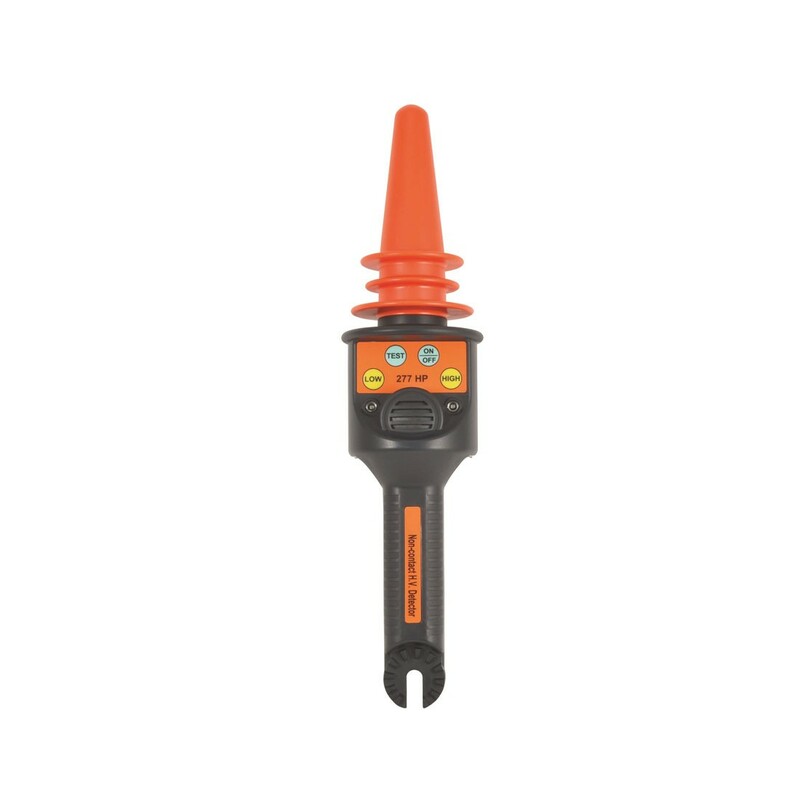 The H277HP is an ideal tool for checking the presence of AC high voltages and AC low voltages in cables, wall outlets, fuses, etc. It can be used for non-contact detection of AC voltages from 50V-132kV. The wide operating range also makes it a valuable tool for industrial, utility, and mine safety applications. 2 Ranges: Low (50V-1.5kV) and High (1.5kV-132kV). Power Consumption: Off (5uA), Low (40mA), High (40mA). Circuit Test:Function to verify device is working before testing actual high voltage. Operating Temperature: 0°C to 50°C Weight: 227 grams. Accessories: Instruction Manual, Carrying Case, Battery Safety. Standards: EN 61326-1, EN-61000-4-2, EN-61000-4-3. Optional Accessories: HHS-175 Telescopic Hot Stick (triangle design).